Aboyne Golf Club is delighted to announce we have been selected by the North East District of governing body Scottish Golf to host their flagship competition for the 2018 golfing calendar. Run over the weekend of 18th and 19th August 2018, the North-East District Men’s Open is a World Amateur Golf Ranking event, together with being a Scottish Golf ‘Order of Merit’ tournament. The two-day strokeplay competition attracts the top amateur golfers from throughout the country and is the jewel in the North-East golfing diary. Club President Elect Justin Grant, pictured above with Fraser Dunlop, said “Over the past few years Aboyne has hosted a variety of Scottish Golf premier tournaments covering both ladies and juniors playing categories. 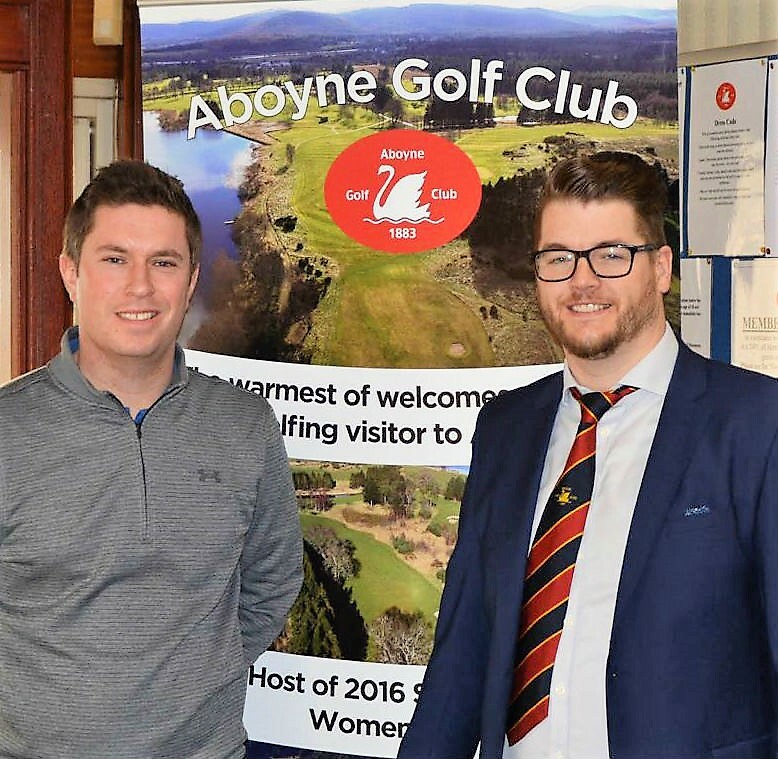 To now be awarded the flagship men’s event is an absolute thrill and at long last Aboyne is rightfully getting the recognition it deserves as a wonderful course on which to hold top level golfing competitions.